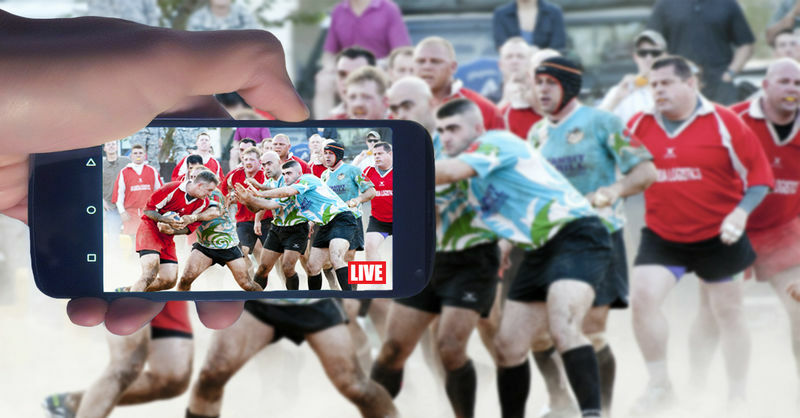 Why Are Mobile Apps Essential For The Sports Industry? The mobile app market is expanding at an unprecedented rate, compelling every business to join the mobility bandwagon. Every industry from retail to finance and healthcare to education are embracing mobile apps and leveraging help of a professional mobile application development company to build an app of their own. Mobile apps are now an essential aspect that drives the business by accelerating and streamlining its marketing, branding, customer acquisition, and retention efforts. Just like other industries, the sports industry is also plunging into the mobile app development space. The modern-age people are incredibly reliant on mobile devices and apps for almost all activities. There are various ways a sports-based company can benefit itself by engaging with the modern day user through mobile application development. Here we have outlined five of the significant advantages mobile apps can provide for the sports industry. With a mobile app, the ardent fans supporting their favorite team and players can showcase their love to motivate the players and boost their team spirit when they are playing on the field. Users can even interact with the players when they are not at a big event. People following multiple sports and events often like to keep updated with what is happening on or off the ground. A sports mobile app is an apt medium that provides the users with reliable information about the scores, number of goals, status, and highlights of a specific game in real time. This information can be pushed through card formats and delivered to end user’s device via push notifications. They not only get to know the scores and the status of the team winning the match but also get information and detailed statistics related to that game well before the game begins. For example, the ESPNcricinfo app provides users with score alerts and an analytical comparison between the competing teams. Driving more customers and increasing sales and revenue are two of the most critical motives in building a mobile app. A sports organization can also make an app that acts as a marketing representative to boost your business profitability. It can also help you in promoting the teams and selling the merchandise to users and fans through the mobile app. glitch-free app access, quick swiping, and more. A sports mobile app is a need of the hour as people are highly excited for various sports events. Providing them with a handy mobile app will allow them to stay connected with the latest news while helping you earn more revenue for your business. Have you built or used a sports-based mobile app for yourself? Tell us about it using the comment box below.